We are engaged in providing a wide range of Wooden Articles to our reputed clients. These are manufactured using the finest grade raw materials. We have with us a range of standard Wooden Articles and we also craft these as per the specifications provided by our clients with strict compliance to the quality standards. With our in-depth knowledge and experience in this industry, we are providing Decorative Wooden Articles . 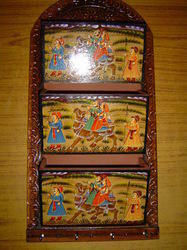 Our offered decorative items are best to gift to the near & dear ones and are considered one of the best gifts. 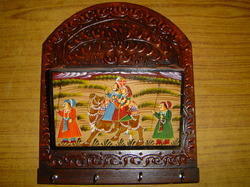 We offer these decorative items in diverse colors, sizes and designs as per customer’s requirements. Besides this, our decorative items are extensively applauded among the prestigious customers of the arena. We are the most trusted name of the market who is passionately engaged in manufacturing, exporting and supplying superior quality Decorative Wooden Photo Frames. Offered decorative items are designed from the premium quality raw material and advance tools keeping in sync with market trends. Our decorative items are rigorously checked by our skilled craftsman to ensure its premium quality. 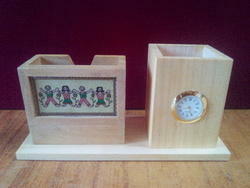 Moreover, our valuable customers can avail these decorative items from us at reasonable prices. 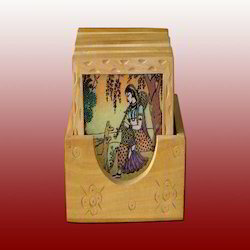 From the past couple of years, we are engaged in offering our clients a large collection of Wooden Card Holder. The offered decorative items are designed using supreme quality raw material and modular tools keeping in mind the market trends. 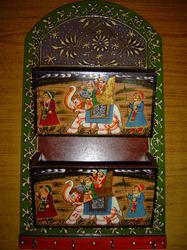 These decorative items are known for their beauty, artistic designs and cheerfulness of colors. 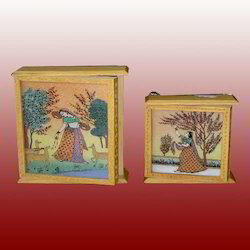 Our prestigious clients can avail these decorative items from us at affordable price in quality packing. 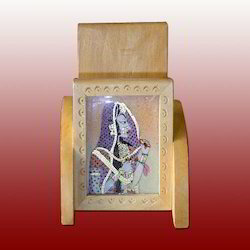 Wooden pen stand with clock with wooden gemstone painting coaster set. An ideal item for corporate and other gifting. 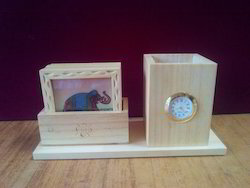 Wooden pen stand with clock with slip holder. To understand the client's specific demands, we are continuously engaged in manufacturing, exporting and supplying Decorative Items. 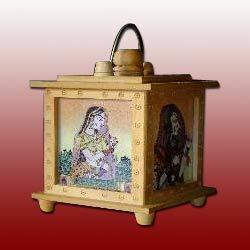 Our offered decorative items are precisely designed using quality examined wood and sophisticated technology under the guidance of our experienced designer in conformity with set industry norms. Offered decorative items are appreciated amongst our customers for beautiful embellishment work, antique designs and fine finish. Looking for Wooden Articles ?